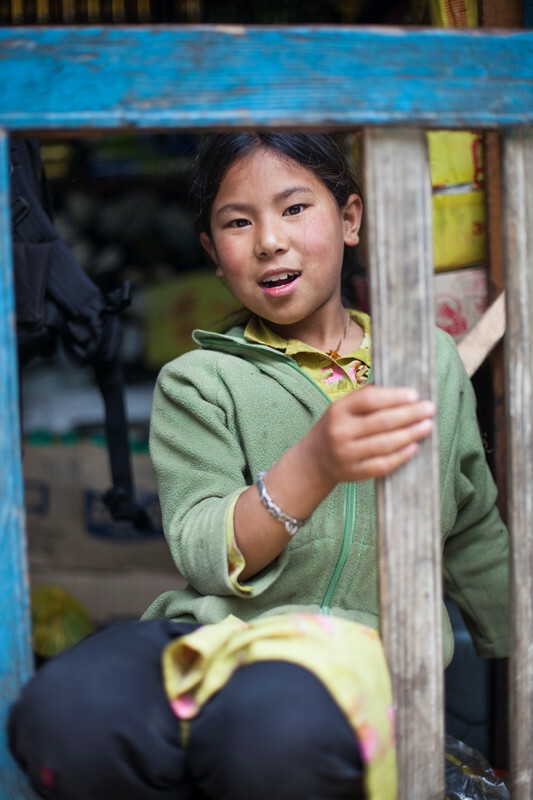 FROM 2018, WE ARE SUPPORTING A PROJECT THAT SPONSORS THE SHERPA GIRLS IN NEPAL. ON 8TH MARCH, INTERNATIONAL WOMEN'S DAY, WE EXTEND OUR SUPPORT WITH THE CAMPAIGN "WOMEN CAN CHANGE THE WORLD, AND THEY CAN CHANGE IT FOR THE BETTER". FROM THE 8TH UNTIL THE 31TH OF MARCH, WE WILL DONATE TEN PERCENT OF E-COMMERCE SALES GENERATED BY SALEWA PRODUCTS, IN ADDITION TO THE ANNUAL DONATION. We have been able to build on our social commitment over the last few years and will continue to invest in sustainable and social projects in the future. From 2018 and for the next ten years, we will support the "Sherpa Girl Project" based in Nepal. To achieve this, we will cooperate with the South Tyrolean Alpine Club and donate 5,000 euros a year to the privately organised sponsorship project, which supports young Sherpa girls in Nepal with school education. For International Women's Day on the 8th of March, we will further our commitment. We will donate ten percent of sales proceeds made from the 8th March to 31st March via the SALEWA online shop. The donation sum results from sales on all Salewa products, which are received and invoiced via salewa.com during this time*. Ten percent of net sales will be donated directly to the Sherpa Girl Project. The project is supported directly and unbureaucratically in cooperation with the project initiator and director Buddhi Maya, a Nepalese who is temporarily living in Austria. The annual donation goes via Buddhi Maya directly to the families and Sherpa girls, who are to receive a school education with a multi-year sponsorship. The Sherpa-Women project is trying to enable Sherpa girls to attend school, which in Nepal must be funded through their parents. The project therefore contributes to their sustainable livelihood and indirectly counteracts the rural exodus from the valleys of the Himalayas, where many of these girls are later forced to emigrate.